Two thirds of Irish grocery shoppers are buyers healthier foods than they did last year, research shows. 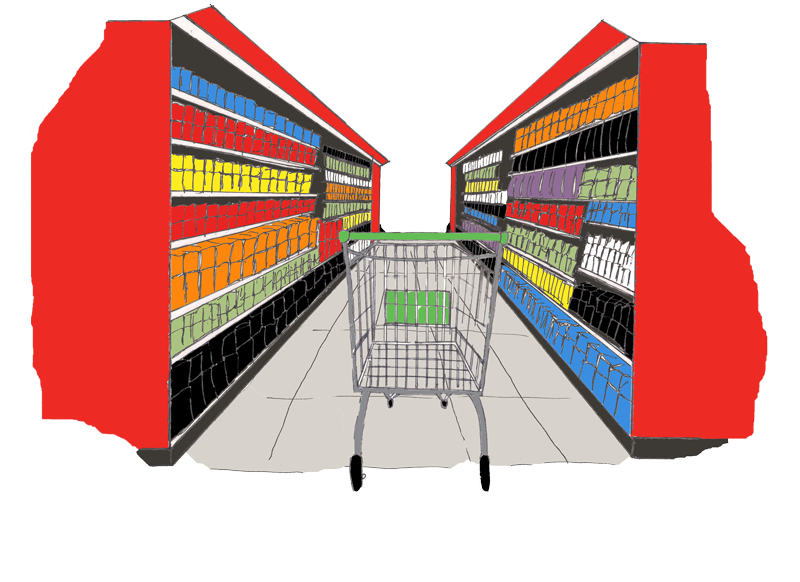 The food study reveals that almost half of shoppers check the ingredients on packaging before they put it into their trolleys. Despite the hype surrounding them when they were first launched, the new methods of contactless payments are taking their time rolling out. You have three major players in the market: Apple Pay, Samsung Pay and Android Pay. Retail sales for the second quarter paint a concerning picture as industry growth rates continue to flatline according to Retail Excellence Ireland. According to a report they carried out with Grant Thornton, some sectors performed well, whilst others experienced like for like declines. Brexit is already having an impact on economic confidence in Ireland according to the latest Economic Pulse survey from Bank of Ireland. The survey, which covers July, shows businesses and households are more pessimistic about their financial situations following the vote. There has been a 6% year-on-year drop in the frequency of off-trade alcohol consumption amongst Irish adults. This drop results from just over 1 in 5 (21%) of alcohol drinkers claiming they are drinking less frequently at home, against 15% claiming to be drinking more frequently at home. Clive Black of Shore Capital Stockbrokers has said that he expects Tesco's 'Finest' private label range to be "materially re-engineered and re-profiled" as part of chief executive Dave Lewis' strategy to simplify the Tesco offering. Finding Dory will be released in Ireland on July 29 and Aldi are going all out with merchandise from the flick. While the filmmakers may be pleased with the supermarket for spreading the word, they may have a few reservations about some of their accompanying offers. Londis customers could be a TV star for the day! Much-loved TV chef and food writer, Catherine Fulvio, will return to our screens in November with a brand new format food and travel TV series called ‘Tastes like Home’, which is being sponsored by Londis. Department store operator Debenhams Retail Ireland Limited (DRIL) is understood to have largely resolved differences with landlords, clearing the way for the business to emerge from Examinership unopposed. Primark, the Dublin-headquartered retailer that trades in Ireland as Penneys, has continued its expansion in the US with the opening of two more stores. The retailer, which opened its first store Stateside last year, this week opened stores in New Jersey and Pennsylvania. Irish shoe maker Dubarry could soon make the majority if its income from the UK, after opening its second British store in Cheltenham. With one store in Ireland and two in Britain, the majority of the company's retail business is now in Britain which already accounted for 43pc of sales. Real estate group Hines is planning to sell The Liffey Valley shopping centre in a deal worth €598m ($660m). Grosvenor Group and HSBC Alternative Investments are also part-owners of the west-Dublin based mall and have engaged Eastdil Secured to broker a sale.